The president says his get-tough approach to trade, including his use of tariffs, was bringing results. Washington state dairy and wine-industry officials, meanwhile, were optimistic about the deal’s effects here. WASHINGTON — President Donald Trump hailed a revised North American Free Trade Agreement (NAFTA) as a victory for the United States, Canada and Mexico on Monday, saying his get-tough approach to trade, including his use of tariffs, was bringing results. Washington state dairy and wine-industry officials, meanwhile, were optimistic about the deal’s effects here. 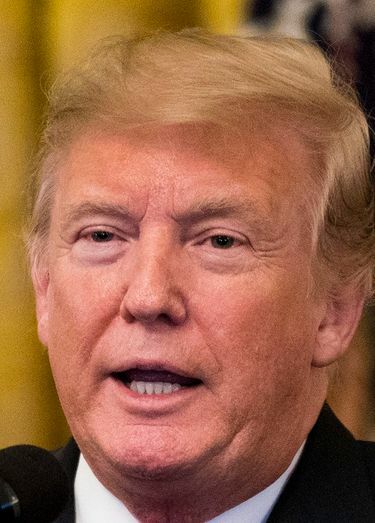 Trump portrayed the new agreement as the fulfillment of a campaign promise to terminate NAFTA, saying he had made good on his plan to rip up “the worst trade deal ever made” and help American businesses and workers. 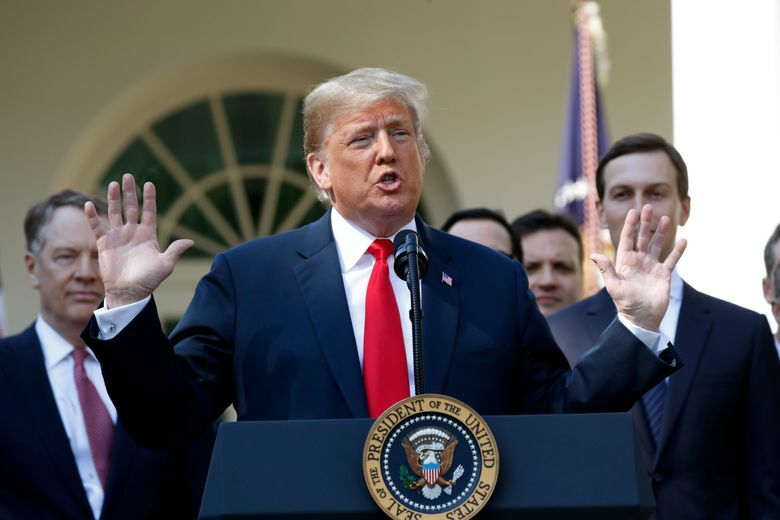 The president attributed the breakthrough with Canada and Mexico to his use of tariffs and suggested that would continue to be part of his playbook as he tries to force concessions from other trading partners. 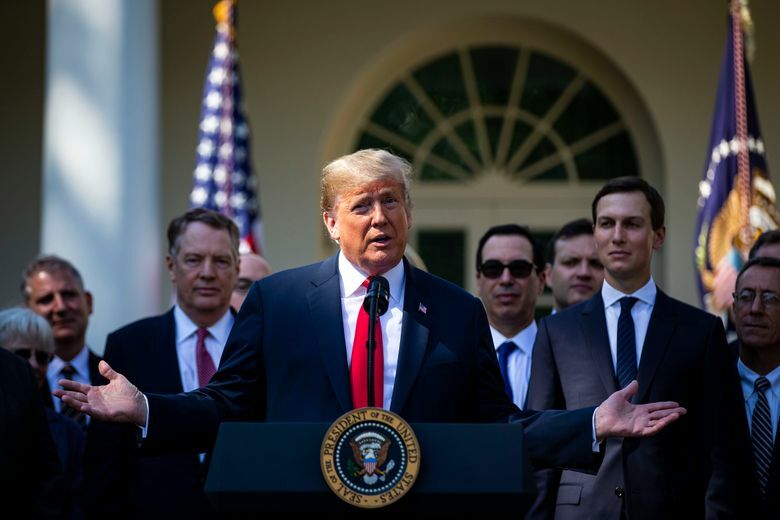 The updated NAFTA, which will be called the United States-Mexico-Canada-Agreement or USMCA, represents Trump’s biggest trade achievement to date and comes after more than a year of intense negotiations with Canada and Mexico. But while the United States resolved its North American trade differences, it is still embroiled in disputes with China and the European Union, and it is unclear whether Trump’s pugilistic approach will work with those trading partners. Robert Lighthizer, Trump’s top trade negotiator, said that the agreement reached Sunday night would be a template for future deals, suggesting tariffs will remain part of Trump’s repertoire. 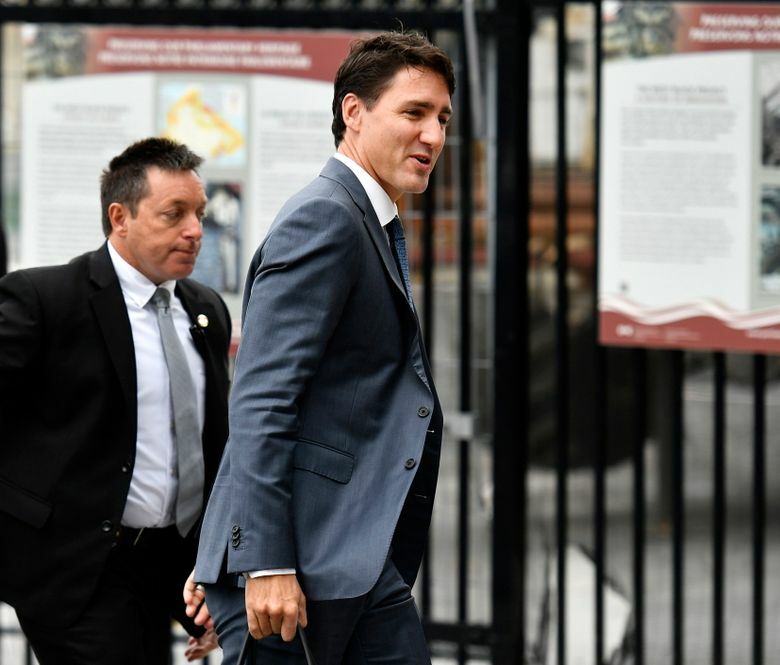 The agreement came together after a weekend of frenzied negotiations between Canada and the United States, which culminated in keeping the three-country pact intact. Trump and Justin Trudeau, Canada’s prime minister, spoke about the agreement by telephone Monday morning. After months of tension, they expressed hope that the accord would put their relationship on a stronger footing. 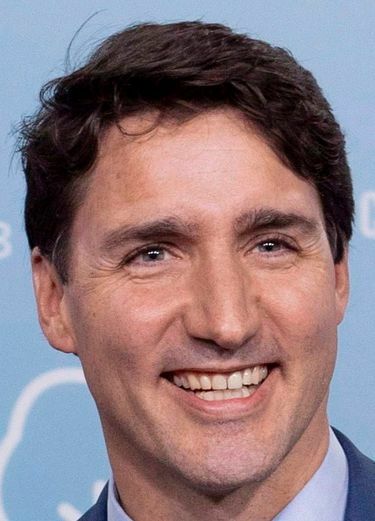 “The prime minister and president stressed that the agreement would bring the countries closer together, create jobs and grow the middle class, enhance North American competitiveness, and provide stability, predictability, and prosperity to the region,” a spokesman for Trudeau said in a statement. 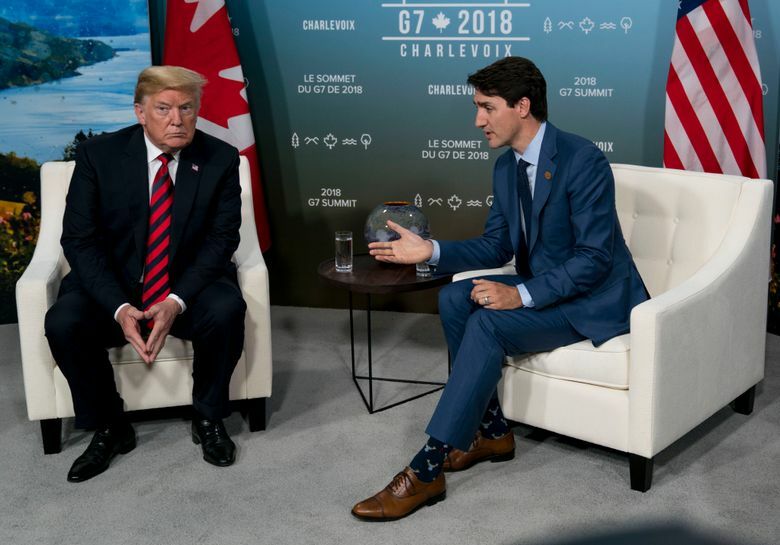 Trump acknowledged the “difficulties” that he and Trudeau have had in recent months as a result of the trade dispute but offered his “highest regard” for the prime minister. Trump also praised Enrique Peña Nieto, Mexico’s outgoing president, with whom he has also clashed in the past. “I think he’s a terrific person,” Trump said. The agreement is largely a refresh of a 25-year-old pact that has brought together the economies of Canada, Mexico and the United States but had become somewhat outdated in the digital age. It makes a series of changes to areas like intellectual property and the digital economy, including protections for patents and domain names. As part of the agreement, Canada will ease protections on its dairy market and provide access that is greater than what the United States would have gained through the Trans-Pacific Partnership, a trade treaty that Trump withdrew from last year. The United States also relented on its demands to eliminate an independent tariff-dispute-settlement system that Canada has said is a red line in negotiations. Keeping that was a major concession for the United States. The countries also reached an understanding that would protect Canada from the automobile tariffs that Trump has routinely threatened. For Seattle-based dairy cooperative Darigold, which aims to sell more than half its output to customers abroad, the new trade agreement is promising. It calls for “limited access to Canadian dairy markets that heretofore the U.S. dairy industry had not yet been able to take advantage of,” said Stan Ryan, president and CEO of Darigold. In Mexico, where retaliatory tariffs on dairy were hurting U.S. exporters, the USMCA is a reprieve that will “preserve and improve existing dairy trade,” Ryan said. Another apparent beneficiary of today’s accord is the Washington wine industry, whose reach into British Columbia’s wine market has been blunted by regulations that imported wine can only be sold in grocery stores within a separate “store within a store” — that is, a retail area that is physically separated from the main store, and has its own cash registers. That requirement, according to The New York Times, would be eliminated under the newly negotiated trade deal. Sean Sullivan, with the Washington Wine Report, said that regulation has been “a significant deterrent to Washington wine sales.” Washington state wine that is sold in B.C.’s restaurants and government-owned liquor stores is much more expensive, “so that $12 bottle of Columbia Crest Grand Estates cabernet sauvignon is going to cost you over $24 there — and of course it’s still going to drink like a $12 wine,” Sullivan said. There are indications the agreement could benefit wine drinkers on both sides of the border, though. For example, Sullivan said that the hefty markups added to imported wines in B.C. not only depress sales of Washington wines but also allow B.C. winemakers to raise their own prices. Those higher prices, in turn, make B.C. wines less competitive south of the border. “As a result, we see very, very little B.C. wine in the Seattle area, even though British Columbia wine country isn’t all that far away,” Sullivan said. McDonald said the state industry had joined with its counterparts in Oregon and California to ask for help from the World Trade Organization (WTO). But the WTO action, which is still underway, would be halted if the new trade agreement is finalized, McDonald said. The agreement builds upon the deal that was reached with Mexico in August. Most important it made alterations to rules governing automobile manufacturing, in an effort to bring more car production back to the United States from Mexico. As part of the agreement, a significant portion of vehicles would have to be made by workers earning at least $16 an hour. The wage floor is intended to boost jobs in the United States and Canada, where wages are already higher than Mexico. In a statement, Ford Motor said it was “encouraged” by the accord, adding that a three-nation trade zone “will support an integrated, globally competitive automotive business in North America” and help keep and add manufacturing jobs. Ford, General Motors, Fiat Chrysler, Toyota and Honda all have Canadian plants that ship cars to the United States. Analysts said the agreement might have an incremental impact on U.S. automotive jobs and may push car prices slightly higher. The requirement for 75 percent North American content will likely require relatively small adjustments for the three Detroit automakers. Many of their top-selling models — including the Jeep Grand Cherokee, Ford Expedition and F-150, the Chevrolet Silverado — exceed that level already. Some models that do not are being discontinued, such as the Ford Focus and Taurus. Determining whether companies comply with the wage requirement will be more complicated because one vehicle can have parts made by dozens of different companies all paying different wages. In general, a majority of U.S. and Canadian auto-assembly workers earn more than $16 an hour. Suppliers, especially those located in southern states, often pay somewhat less. Markets were pleased to have averted the uncertainty of trade dispute in North America. Stocks rose in early trading in the United States, and the Canadian dollar and the Mexican peso both climbed. The United Steelworkers union urged caution Monday, lamenting that the Trump administration’s steel and aluminum tariffs had not been lifted as part of the deal. Mexico and Canada say they expect those tariffs to be worked out on a separate track. Also unresolved is whether Canada and Mexico will continue to impose the retaliatory tariffs they placed on U.S. products like whiskey, orange juice and chocolate. In a news conference, Trump said that the United States is talking with Mexico and Canada about a separate arrangement to lift the steel and aluminum tariffs and potentially replace them with quotas. The new agreement also could face political obstacles, as Congress is responsible for granting final approval of trade agreements. If Democrats take control of the House next year, it is possible that they will call for changes or prevent the administration’s agreement from taking effect. Rep. Nancy Pelosi, D-Calif., the House minority leader, made clear Monday that Trump’s deal would not receive a rubber stamp. Seattle Times business reporters Ben Romano and Paul Roberts contributed to this report.